CHARLOTTETOWN, PE – Maritime brewpub chain The Gahan House has announced details of a competition that offers homebrewers in the region the chance to brew and release a commercial batch of their beer recipe. The Maritime Home Brew Challenge is an expanded version of a competition that has been held at the original Charlottetown location of Gahan House for the past several years, and is open to homebrewers in Prince Edward Island, Nova Scotia, and New Brunswick. Three styles are being accepted this this year’s competition – Lager/Pilsner, Hoppy Ale, and Saison – and entries can be dropped off at any Gahan House location by October 27th. Registration forms must be completed online in advance, and there is a $30 fee for each beer submitted. Judging will take place between October 27th and November 1st, and the winners will be announced during an awards weekend at PEI Brewing and Gahan House in Charlottetown on November 9th and 10th. The overall winner will receive $1000 and a brew day at their local Gahan House, with the beer released in a limited run of 1000 cans. Cash prizes and gift cards will also be awarded to the top 5 beers in each of the three categories. 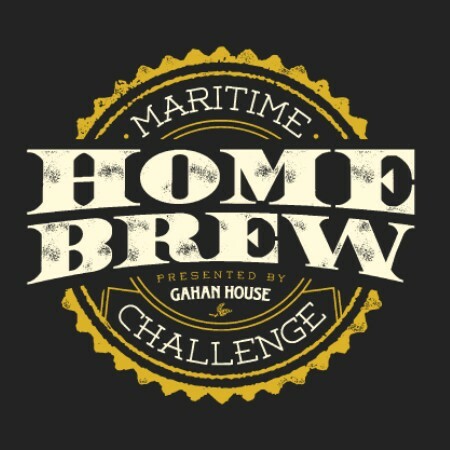 For more details, see the Maritime Home Brew Challenge page on the Gahan House website.